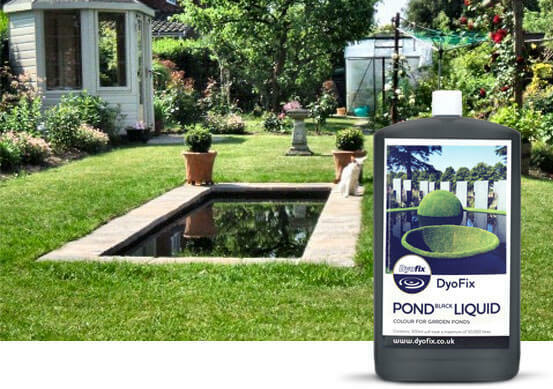 Non-toxic pond dyes are an effective way of controlling algae and weeds without affecting the health of fish, wildlife and plants. 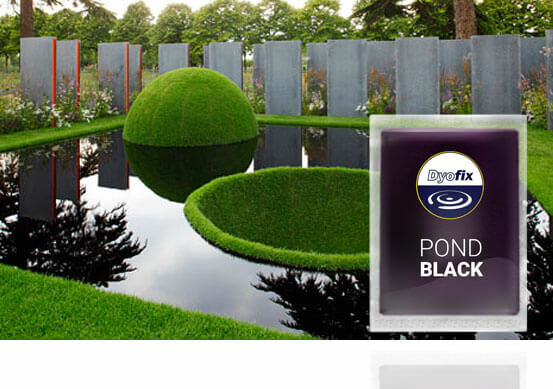 Dyofix Pond Black is the ideal choice for the small garden pond. Creating a magical mirror; water plants look amazing against the obsidian black surface, disguising unsightly pipework and repairs. 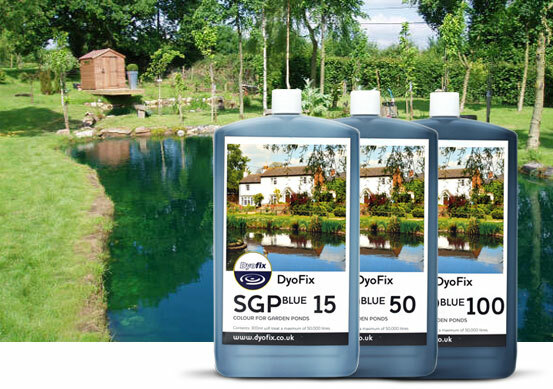 SGP Blue and SGP Shadow pond dyes are best for controlling algae and weeds in a pond or lake that contain fish. 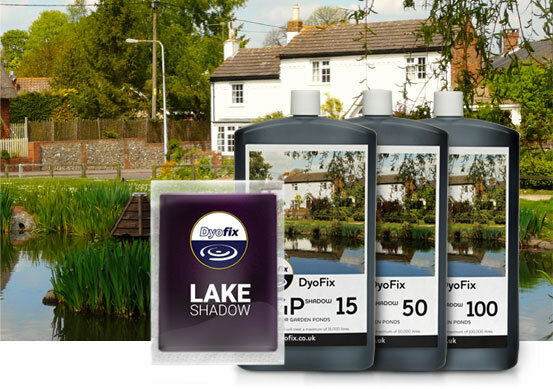 The pond dyes will deter predators as the dyes hide fish towards the bottom of the pond making them almost invisible to most overhead birds. Prices shown below include P&P and V.A.T. at the prevailing rate, UK mainland only.